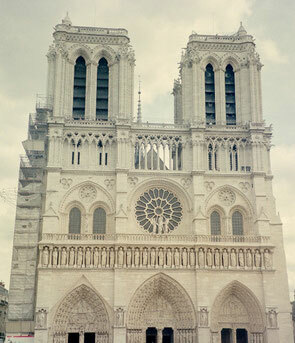 Because they come in a variety of sizes, shapes and materials, buildings are a source of fascination for many children. 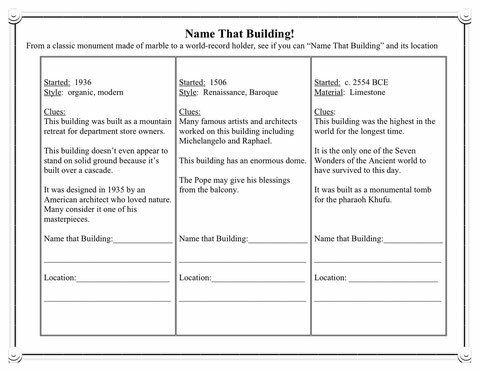 The following activity, Name That Building, is a fun way to introduce upper elementary aged children to six of the world’s most famous buildings. 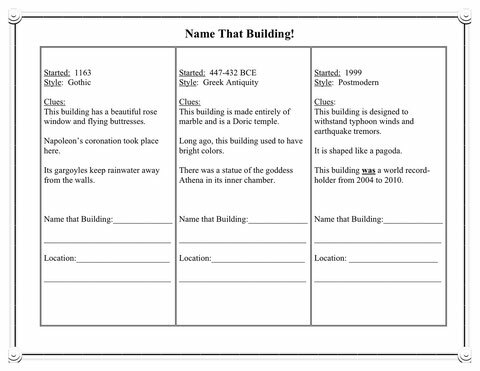 The clues lead children on a research hunt to determine the name and location of each “mystery building.” They contain architectural terms, historical events, mythology, etc. 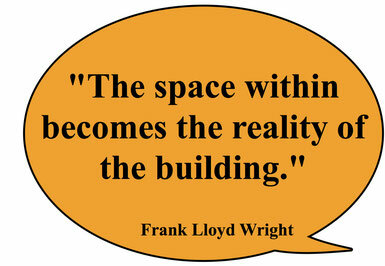 that serve as springboards for vocabulary development and other areas of study. 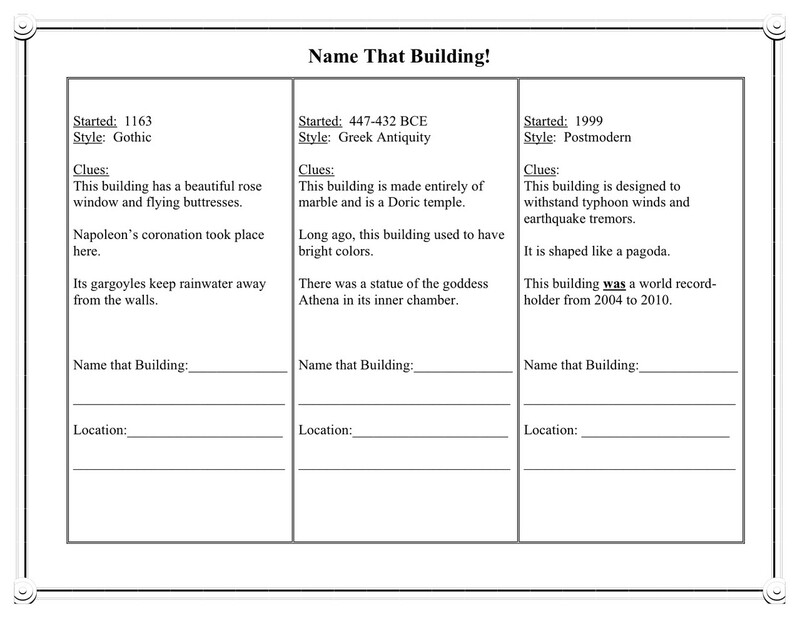 If you enjoyed this “mystery” activity, let me know, and I will make more. 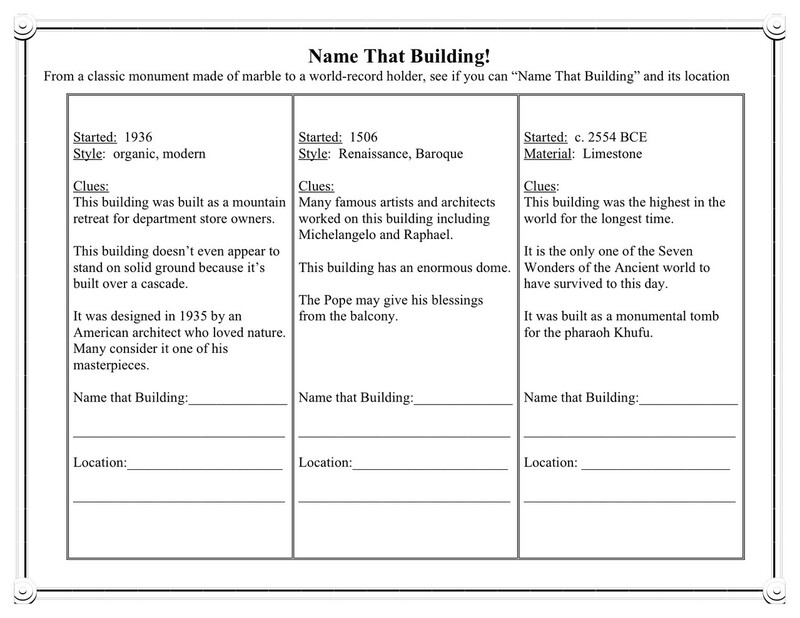 13 Buildings Children Should Know introduces children to 13 famous buildings. 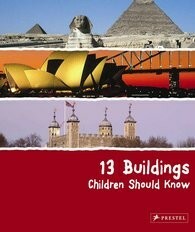 Other books in this series include 13 Paintings Children Should Know and 13 Sculptures Children Should Know.